10.1" Industrial Tablet PC FreescaleTM i.MX6 Series ART101 is a rugged Android 10.1’’ tablet which offers a full touch-centric experience like any personal tablet for the maximum user friendliness and portability. It sustains IP65 and 1m drop onto concrete which safely protects its powerful features from harsh environments in manufacturing and warehousing. Equipped with 1D/2D barcode reader options and near field communication (NFC), AR101 enable efficient data capture and flawless worker management in the production line. 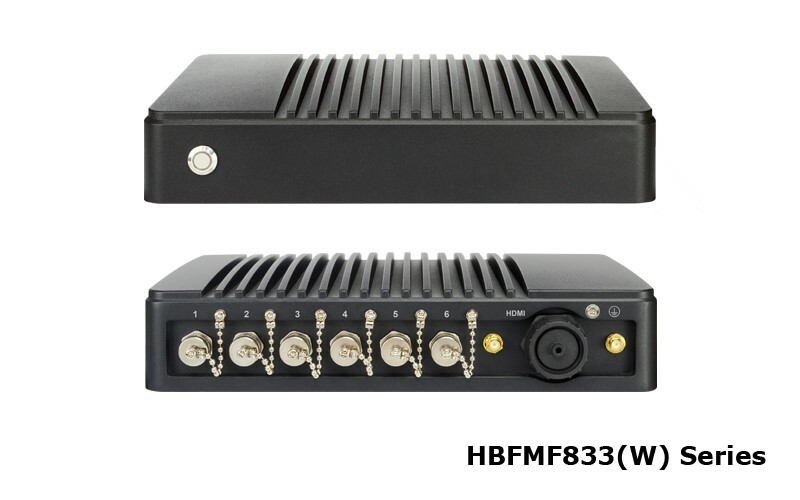 The built-in comprehensive wireless communication including 3G, 802.11 a/b/g/n and Bluetooth 4.0 ensures real-time data transmission in the field or within four walls. Top it off with full shift operation support, your workers would surely be well prepared with this powerful device. 15" Light Industrial Touch Panel PC Intel® AtomTM E3800 Series The IP65-rated fanless Panel PC adopts low-power Intel® AtomTM E3800 SoC processor with 22nm process technology. The KS150-BT is available in both 5-wire resistive and projected capacitive 15” LCD true-flat touch screen panel. This All-in-One system is equipped with two DDR3L SODIMM sockets with up to 8GB memory, one 2.5” SATA drive bay, two LAN ports, four COM ports, three USB ports, one DVI-I display port, and one Mini PCIe slot for Wi-Fi or mSATA module. Users can also benefit from two mounting options: wall mount (VESA 75x75 or 100x100) or panel mount. Most important of all, the 15” touch panel PC can withstand operating temperatures from -10°C to 60°C; that can also be applied to outdoor environments. Thanks to this robust design and features, the KS150-BT is the perfect solution for a variety of solutions, especially for retail applications.